Innovation is about breaking barriers to create exponential value. BeyondCurious (http://www.beyondcurious.com), an innovation agency that creates mobile experiences, today announced the launch of the BeyondCurious Academy, an employee development and mentoring program focused on innovation. The Academy is an incubator designed to develop the talent needed to innovate in the mobile age by teaching employees how to flourish in a non-linear, unstructured environment. 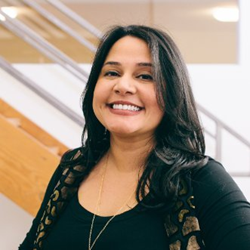 "Innovation is about breaking barriers to create exponential value, yet traditional talent development approaches too often fail to foster innovation because they are designed for a structured and linear environment," said Nikki Barua, CEO of BeyondCurious. "Consequently, an 'innovation gap' exists between the type of talent businesses need to succeed and the available talent in the marketplace. BeyondCurious Academy will close that gap." Barua noted that the pace of innovation disruption is so high in today’s economy that companies will succeed when they attract and retain people that are effective in solving problems with no prior frames of reference. BeyondCurious Academy is designed to empower both experienced and inexperienced hires with the skill sets and mindset needed to innovate for clients in the mobile age. Participants will learn through workshops on new innovation techniques and tools, exercises to foster creative thinking and problem solving when faced with extreme constraints, and business mentoring to bring out their entrepreneurial spirit. BeyondCurious Academy will also teach new hires how to think rather than what to think. For example, a project manager who is accustomed to working with specific timelines, resources and goals will learn how to plan and solve problems in an environment where new ideas and discoveries shift project priorities all the time. “Our employees seek the autonomy to try new things, the connection to a bigger purpose, and the environment for learning and growth, and our clients count on us to help them innovate ahead of their competition,” said Barua. "The goal of the BeyondCurious Academy is to help our clients succeed by developing our people into industry-leading innovators." The agency also announced today the appointment of Amanda Schonfeld as director of talent acquisition for recruitment and people development. Schonfeld was previously with SapientNitro, where she was responsible for managing the North American hiring team. BeyondCurious is an innovation agency that creates mobile experiences for brands such as Toyota, GoPro, Sonos and Lexus. The agency’s CatalystGo offering helps brands innovate better, faster and more cost-effectively than the competition. The agency is headquartered in Los Angeles. For more information, please visit http://www.beyondcurious.com.